New Design: The Mini MAP now features 4 x polymer D-rings to convert into a stand alone back pack! 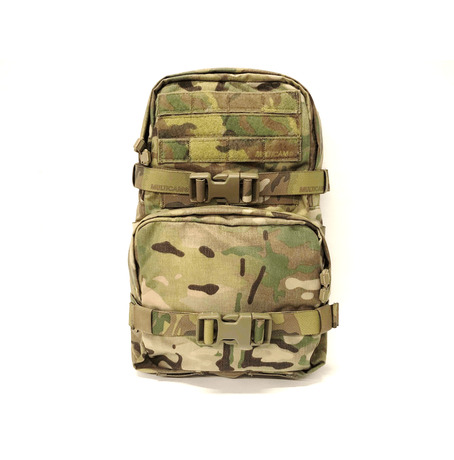 A miniature assault pack that is the size same or smaller than the back plate pocket of most armor carriers! The main compartment features a sleeve to secure a 2 liter bladder and a light clothing item. A hanger tab makes sure your bladder stays up right. 3 exit ports (one on the top and one on each side) allow the user to place their hydration hose in the preferred spot, and compression straps allow the load to be cinched down and stop any “pouch bounce”. The webbing tabs on the base that cover the drain holes can be utilized to strap external loads to the bottom. 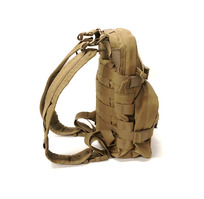 Two columns by three rows of MOLLE/PALS webbing on each side allow the user to fit more pouches to the sides. Additional storage pouch on the front is sized to fit NVGs and other ancillary items. 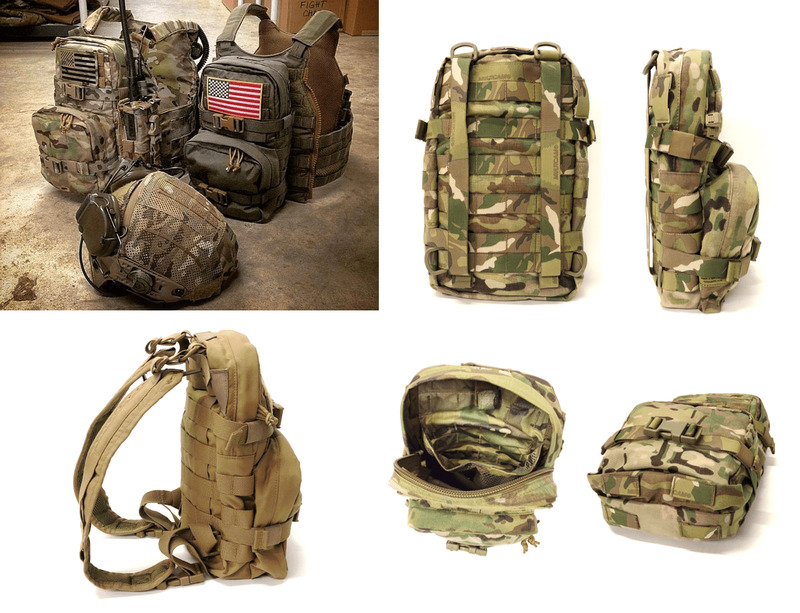 4 columns by 3 rows of MOLLE/PALS webbing combined with a large section of velcro loop on the upper-front of the Mini MAP allows for attaching velcro patches, IFF, and additional pouches as needed. Made in New Zealand by Twin Needle Tactical Gear, a company who designs and produces kit for New Zealand and Australian Special Forces. Mini MAP only. Straps, pouches and accessories sold separately.